Boost Compliance & Safety. Reduce Risk. Automate student data collection, verification, and distribution. Organize and automate athletic registration using completely custom compliance software. Simplify your student enrollment, back-to-school, and student data management processes. Streamline your solutions for staff hiring, signing forms, and tracking certification processes. Let's connect. We're educators too. We have a lot in common! FinalForms is comprised of coaches and former educators committed to customer service. FinalForms smashes spreadsheets and crushes the competition with fast features, terrific training, and superior support. Our Team, Our Product, and Our Service help you save time, streamline processes, and simplify communication. Our stunning visual reports display real-time compliance, eligibility statuses, attendance records, and more. 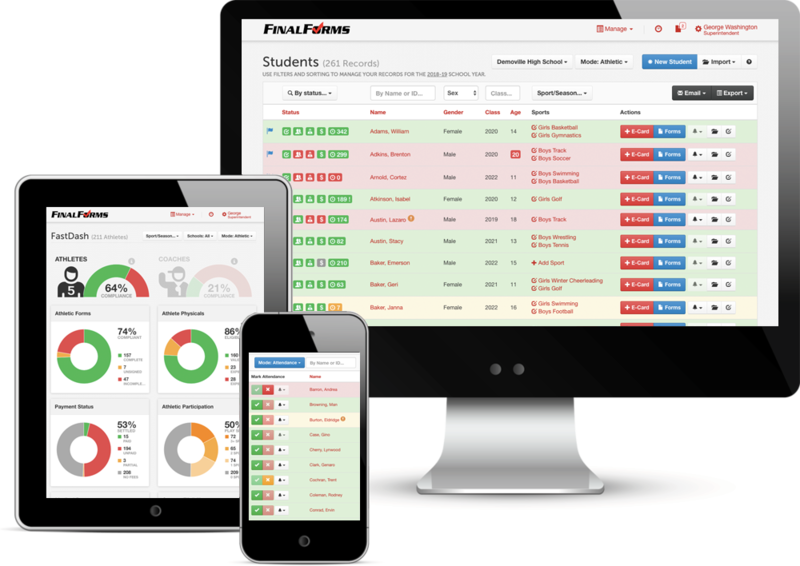 Connect Administrators, Staff, Parents, and Students through one centralized, secure platform to boost compliance and safety. Loved by Parents and trusted by Educators from New York to Washington, FinalForms turns users into fans. What is the true cost of a forfeit? 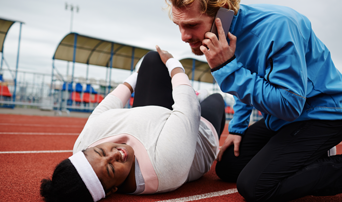 Ensure your athletes are eligible with a quick glance at the roster. Promptly notify Parents and Students of problems.